Our employees enjoy myriad interests and hobbies outside of work as well. So it comes as no surprise that one of our editors, Maria Isabella, also happens to be the author of an award-winning cookbook, In the Kitchen with Cleveland's Favorite Chefs. This best seller features 35 of the city's top chefs (including Michael Symon) and what they would serve their own last-minute guests at home in one hour or less. 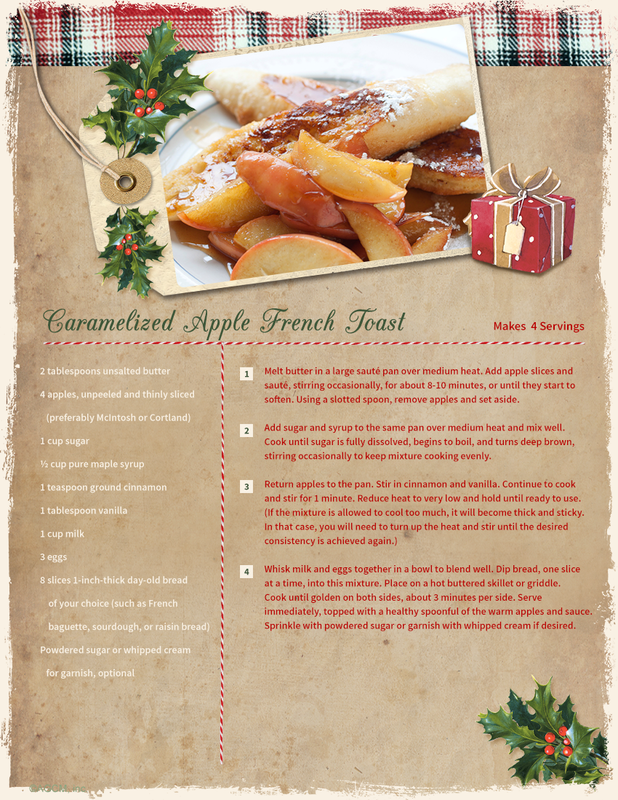 We've now asked her to share a special Christmas breakfast recipe from her book just for you. "A special breakfast on Christmas morning has always been a meaningful tradition in my family," says Maria. "Sure, we've changed the selection over the years, but the main criterion has always remained the same: something a bit out of the ordinary yet satisfying and delicious, too. This recipe fits that bill perfectly. "Chef Steve Schimoler, who owns a fantastic restaurant in Cleveland called Crop, came up with this recipe for Caramelized Apple French Toast," explains Maria. 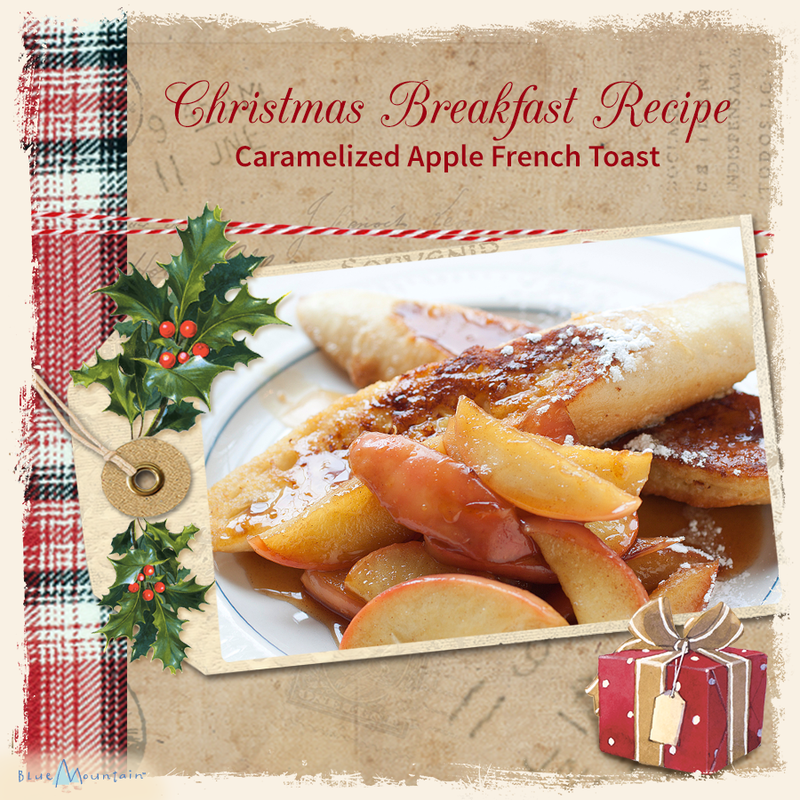 "With their slight sweetness and amber translucence, caramelized apples transform otherwise-ordinary French toast into a luxurious Christmas breakfast your whole family is sure to love. Just add bacon or sausage links, plus a flute of Bellini, and you'll be all set to enjoy your holiday morning together!" "Christmas dinner is unlike any other dinner I plan," admits Maria. "I put so much more thought and effort into this meal. That's because Christmas is extra special to me. It's also because all my grown children, their spouses, and my grandchildren will have traveled from all across the country to come home during this festive celebration. I want it to be perfect! "Zach Ladner is the young but super-talented executive chef at the upscale Giovanni's Ristorante here in Cleveland. 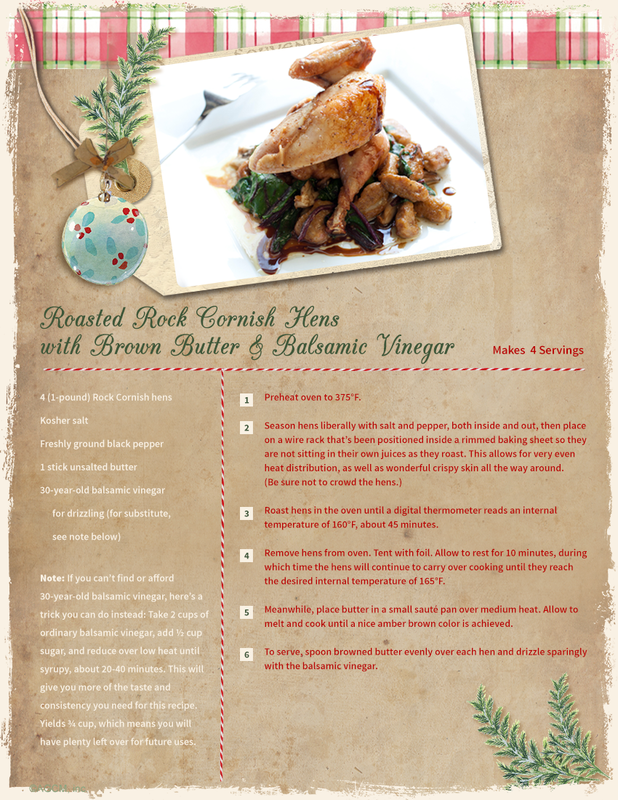 He created this delicious recipe featuring Rock Cornish hens, which will take center stage at the elegant meal I'm making for my family this Christmas. 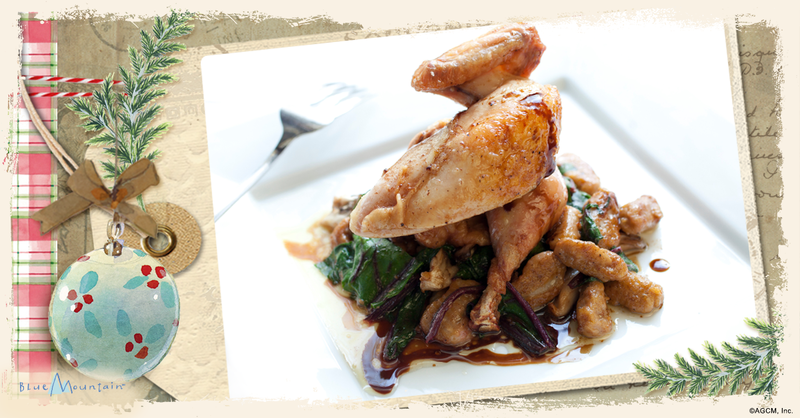 "I think Rock Cornish hens make such an impressive entrée. Not only are they surprisingly easy to prepare, but their small size is suitable for individual servings, which always makes such a pretty presentation. A splash of rich, nutty brown butter and a drizzle of heavenly 30-year-old balsamic vinegar elevate this dish to a whole new level. 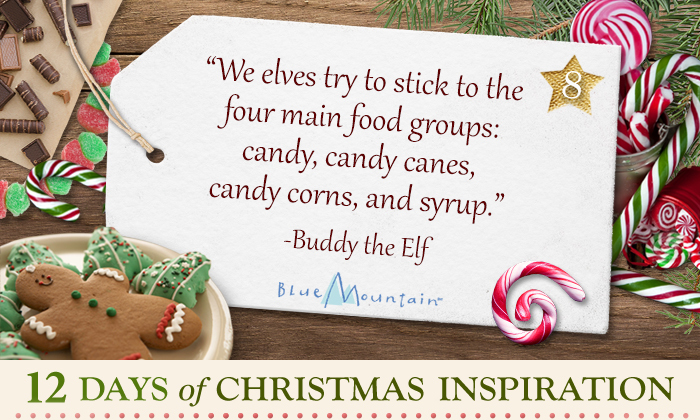 I know my family's going to love it…and so will yours!" "I really, and I mean really, love to bake!" says Maria enthusiastically. "Maybe it has something to do with my sweet tooth, or the fact that I'm a chocoholic, but baking is an absolute passion of mine. So when Christmas rolls around, I'm more than excited to start making all the cookies my family loves. 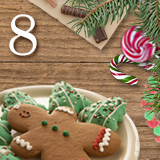 "Every year I choose several tried-and-true Christmas cookies that are my children's and grandchildren's favorites. But then I always like to add one or two new recipes, just for fun. Today I'll be sharing one of each with you. 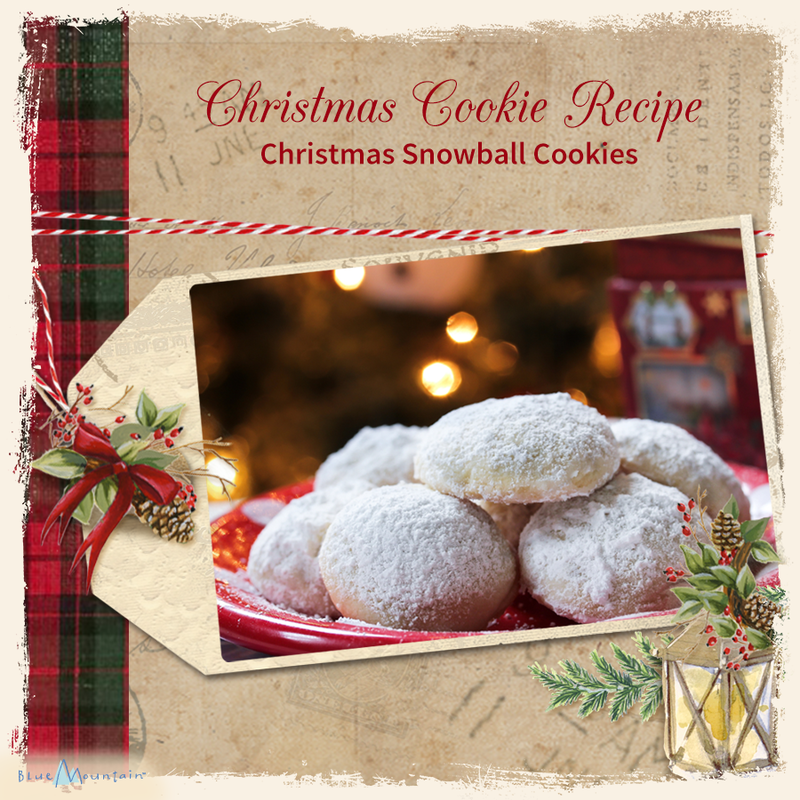 "The Snowball Cookies are probably at the top of my family's favorite Christmas cookies list. In fact, my own mom used to make these for me when I was a kid (way back when!). It's her recipe. The beauty is, they're so easy to prepare, make an awful lot (5 dozen! ), and are addictinglydelcious. You can pop one right in your mouth, and they just melt! 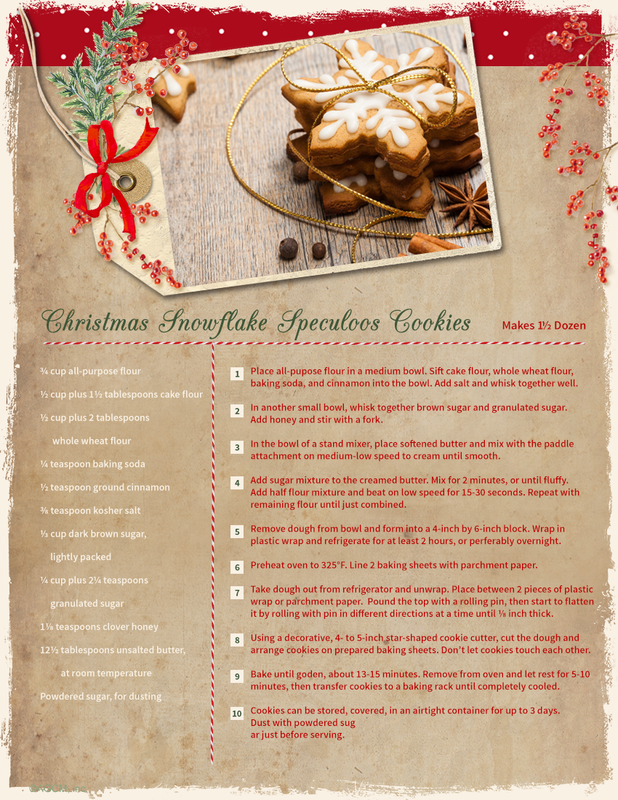 "On the other hand, Christmas Snowflake Speculoos Cookies are something new I tried last year, and it was such a hit that my kids requested it again this year. Needless to say, this recipe's now a keeper. As for those of you who aren't familiar with speculoos cookies, they are fragrant spiced cookies from Belgium, especially popular during the holiday season. "Both cookies are really wonderful. Both are decadent. 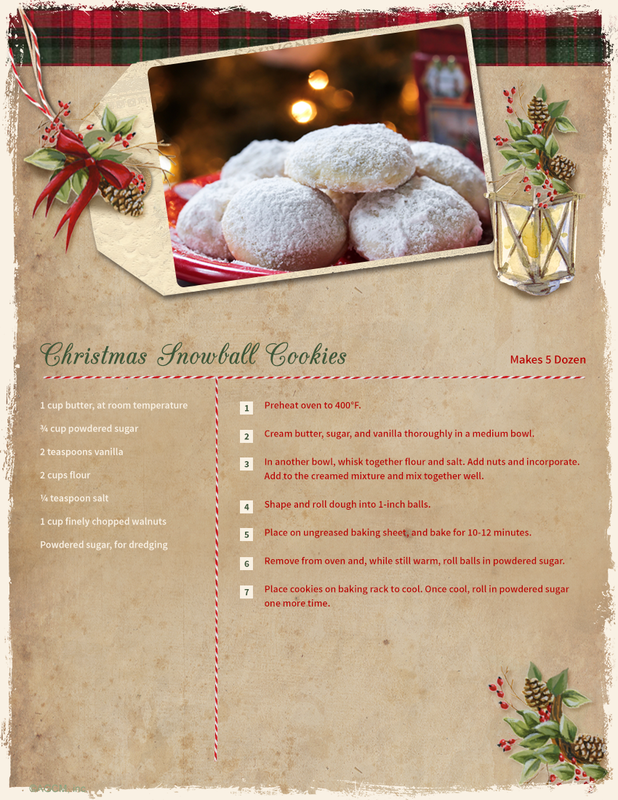 And both would look so pretty on your Christmas cookie table, displayed on a merrily festive platter or cake stand. I hope you'll give them a try. Trust me, you won't be sorry!"